Livermore E-Waste has emerged as a renowned company in providing premier data destruction services. As the environment has always been our priority,also are the eco-friendly methods that we have adopted for data destruction. Our skillful and learned professionals are always in search of the most convenient and secure ways by which your data can be saved at the time of its destruction. Your data security is our topmost concern. Once handed over to us, we take the responsibility for its complete destruction. We provide the most comprehensive services throughout the Bay Areain data destruction and asset management. In the process of data destruction, we, with the help of our expert team, wipe out your data that is stored in your electronic hardware including hard drives, DVDs, tapes etc. We eliminate your data in such an effective way that it cannot be processed by using any other software. This entire process is known as Data Destruction. 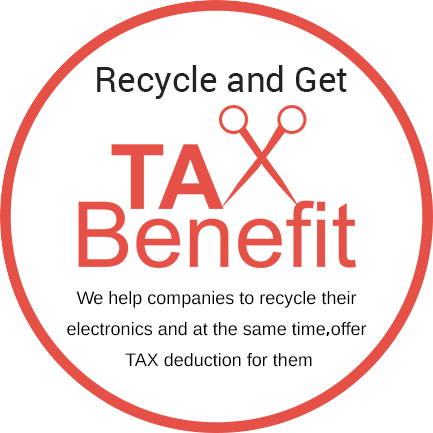 It is an essential part when we are disposing of the electronic equipment. Thus, we assure you that our services provide complete data security and protection. Our process of data destruction is environmentally-friendly, and thorough. Data is essential for every business enterprise where it has its own worth and can be easily accessed for unauthorized and personal gains. This is why, at the time of destruction, it becomes even more important to erase the data entirely so it cannot be accessed by anyone. In the case of data leakage, your money and information can be easily robbed, and this can question the integrity of your company. To keep your data safe, it is vitally important to ask about data destruction and ensure the safety of your company and employees.